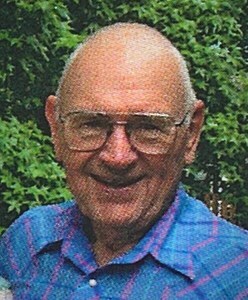 Matthew L. Weir, 92, of Olathe, passed away on February 6, 2019. He was born July 28, 1926 to Matthew and Bridget (McCarty) Weir in Sheldon, Iowa. Matthew worked as an Engineer for the Federal Aviation Administration for over 25 years. On November 24, 1951, he married Kathleen Florence Jeck. He served our country in the United States Navy, and was a member of the Knights of Columbus. He enjoyed woodworking, working with computers, playing bingo and gardening. He is survived by his loving wife Kathleen, his son Steven, his grandchildren Ryan, Courtney and Whitney, and great- grandchildren Miles, Malcom, Ryann and Limuel. He is also survived by his sisters, Loretta and Ethel. He was preceded in death by his daughter Joan Ellen Hinson, and his sisters Veronica, Audrey and Rosella, and his spunky dogs Bridget and Pepper. Memorials are suggested to Cedar Lake Village in Olathe, Kansas. Please click on the "Share Memories" button above to leave a message for the family. Add your memories to the guest book of Matthew Weir.